I’m trying something new here on the blog – each month I’m going to share with all of you a basic summary of where I went & what I did. I just started on a new trip so now is the perfect time to start! This one is a month behind, I’ve been so busy traveling non-stop a lot of things are running behind schedule – but I’m hoping to catch up soon. After spending the last 3 years hopping between Mexico, Central America and the United States it’s finally time to visit an entirely different part of the world, and a new continent – Asia! I of course chose Thailand, the most popular country by most standards as my first stop. New Ink! In addition to purposely going on the “Grand Palace scam” and visiting Wat Pho; one of the very first things I did after arriving in Bangkok was seek out a tattoo shop to get my old ink covered up. 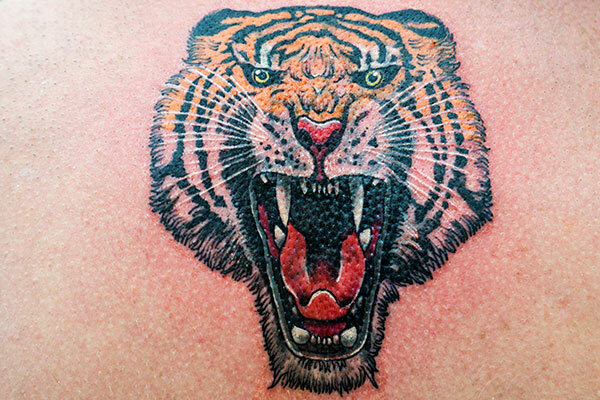 BKK Ink Tattoo located in the backpacker HQ Khao San Road does seriously awesome work. 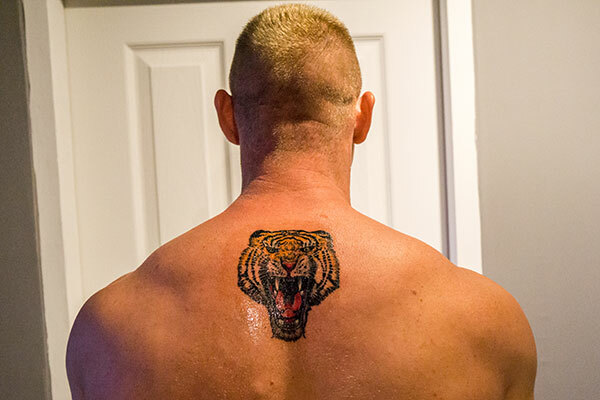 For $300 and a 3 hour non-stop session I am now one with tiger. They perfectly covered up the fading old devil it replaced. Smile Republic! Another order of business in Bangkok was taking care of some much needed dental work. I’ve never required medical assistance or any kind of hospital visit while on the road – and I’ve always wondered how the experience would be. I don’t have health insurance, and back in the States I was looking at a $1,500 bill if I got it done there. 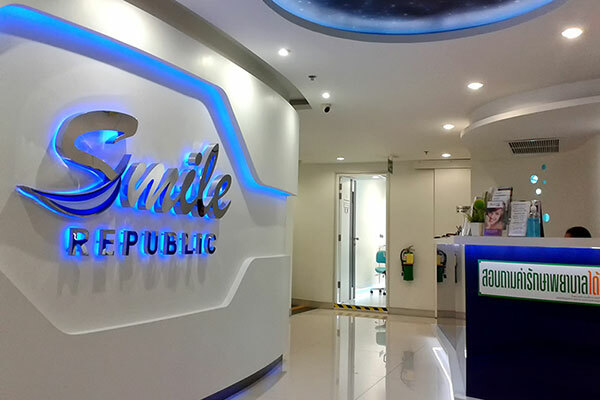 I made an appointment at Bangkok Smile Dental and got all the work I needed done for under $230! In case you’re wondering – they had excellent facilities, the dentist spoke perfect English, and I received the same quality of care I’d expect back at home. Yet another reason to love traveling! What A View! I haven’t spent much time visiting large cities outside the States, mainly because in Central America they’re all fairly dangerous and not too welcoming. One of the big things on my to-do list in Bangkok was see the skyline from one of the many famous rooftop sky bars. I visited both Octave’s and Lebua’s and was completely in awe of the incredible sights beneath me. 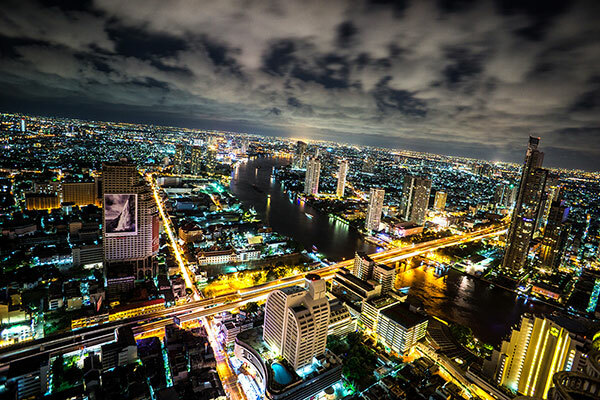 A sky bar for sunset or night viewing is a must-do if you visit Bangkok! I finished my visit with a day trip to Ayutthaya, a world heritage site. The extreme heat and humidity of the day made it a challenge to get through, but the ruins were impressive. 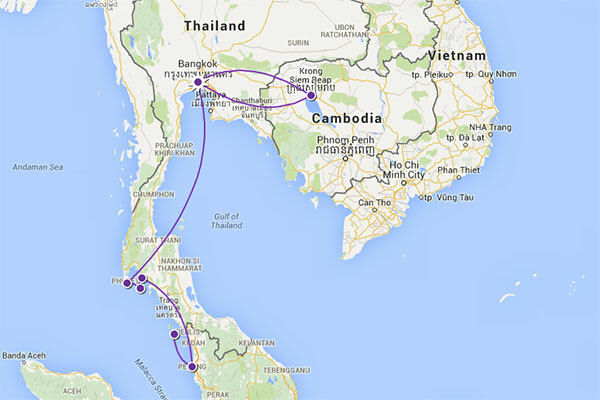 After 4 days in Bangkok I hopped on a 1 hour flight to Siem Reap with plans to spend 4 days touring Angkor & Inle Lake. Unfortunately it was the dry season and the lake wasn’t ideal for visiting, so I spent 3 very sweaty days running around Angkor Wat with Sok, the area’s best tuk tuk driver. Temple fatigue set in after the second day, but it was amazing to see the huge scale of these complex ruins. Siem Reap was quite smaller than I’d imagined. The ATM’s charge $4-5 for every withdrawal, so definitely beware of usage if you don’t have a fee reimbursement bank account like Schwab. The $1 smoothies are amazing; I had a lot of them. 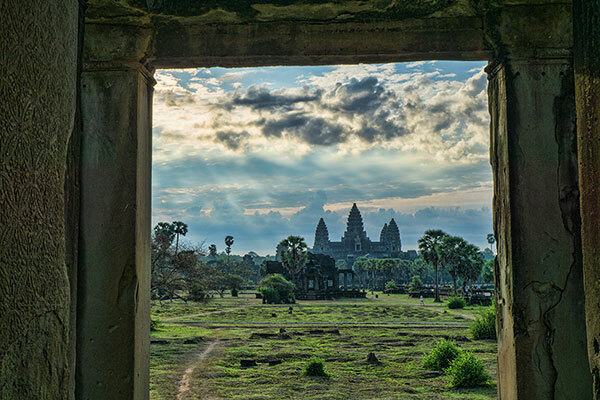 If you would like to experience the real Indochina area has to offer, you should make enough time for the vacation to cover Thailand Cambodia and Vietnam altogether. Here, we recommend you www.indochinatour.com which is specialized in private and luxury Indochina tour and will fulfill you a lifetime Thailand Cambodia Vietnam tour. Back in Thailand I headed South to see if the islands and beaches that have been hyped to mythical proportions are as spectacular as everyone raves about. They are. Phuket was just as seedy and sleazy as expected, and could’ve easily been skipped. 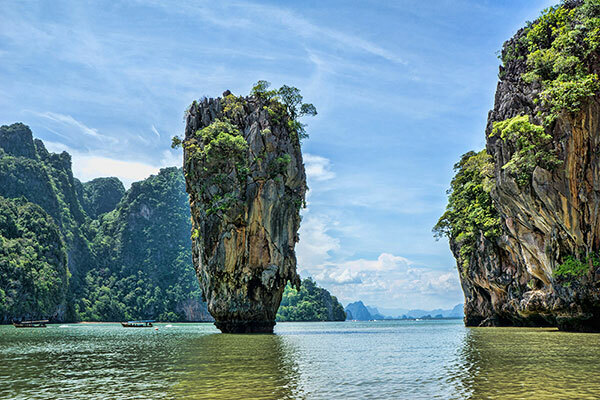 James Bond Island was out of this world beautiful – but the thousands of Chinese tourists packed onto one tiny island made for quite cramped conditions. Why hasn’t anyone mentioned that China invaded and now owns Southern Thailand? They’re everywhere! Phi Phi Islands and Phra Nang Beach were so incredible I wish I’d stayed much longer. Return visits are definitely in the works. 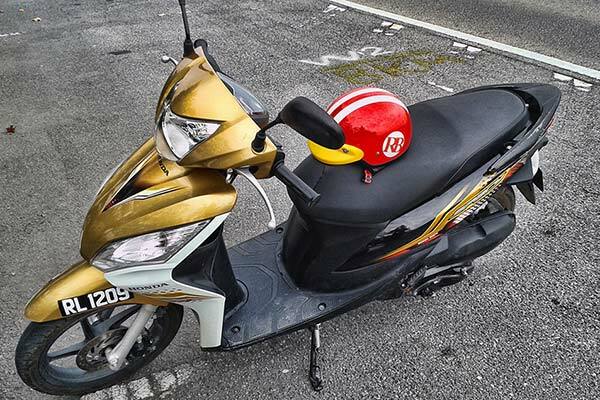 With 4 days to spend in Langkawi it was time to learn how to ride a scooter. At just 30 Ringgits per day they’re quite affordable. Just over $1 tops off the gas tank. It wasn’t even 2 full days before I was maxing out the speed and having the time of my life. Nobody warned me there would be monkeys in the road and after taking a few sharp turns too quickly I’m now quite thankful I never got that motorcycle I wanted when I was 19… my lead foot and motorbikes are a recipe for disaster. The bike did give me freedom to get all over the island and I put it to good use visiting 2 waterfalls, the cable car and sky bridge, and a couple nice beaches. Penang wasn’t really what I’d imagined. I’m not a big foodie, unless that food is deliciously cooked meat or some type of doughy, sugary treat. The street food just wasn’t that appealing to me. Also not impressive was the rundown and dirty conditions of George Town. I did enjoy the street art though. 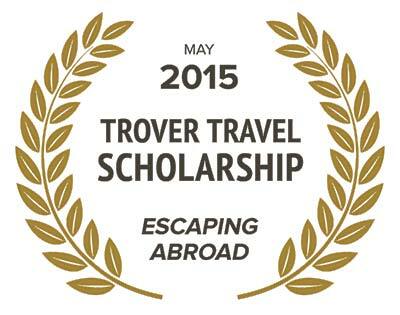 This month I won $500 from Trover’s Travel Scholarship! I guess they really like my photography! It feels great to be recognized for it! If you don’t know, Trover is sort of like Pinterest, but the pictures are all focused on travel destinations. You can check out my profile here. **I redeemed rewards on my Capital One credit card, erasing the $194 bill from my hotel in Phi Phi. The entire next month I’ll be hopping across Malaysia. Scuba diving and wildlife watching in Sabah, Borneo. Scuba diving in the Perhentian Islands. Exploring Kuala Lumpur and a quick 3 day rush around Singapore. Thanks for this, I’m off to explore Thailand in a few months so good to hear some tips. So do you recommend Langkawi? I’m also thinking of completely skipping Phuket! Langkawi was a great stop for me.. but maybe not for everyone. The beaches weren’t great compared to Thailand’s; but it has the cable cars, waterfalls, and some nice forest/mangroves to explore. Beautiful pics. Sounds like you are “ESCAPING ABROAD. ” Be safe and stay in touch.